The digital solution will securely collect and store data from Metso's equipment around the globe, including new equipment as well as machines already in operation. The solution will provide predictive analytics, preventive maintenance and facilitate remote asset monitoring by Metso and its customers. The industrial IoT solution is built on the Rockwell Automation FactoryTalk Cloud platform, powered by Microsoft Azure. Rockwell Automation and Microsoft have long collaborated on solutions required for industrial digital transformation. 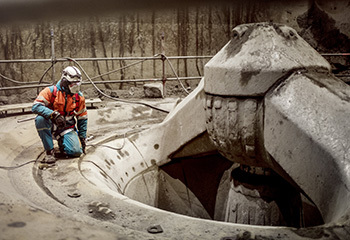 The Metso solution is a direct result of these efforts. "For our mining and aggregates customers, access to real-time data enables higher uptime, faster and safer shutdowns, and ultimately more tonnage processed at lower cost. Enabled by an industrial IoT platform from Rockwell Automation and global coverage with Microsoft Azure's data centers, Metso can deliver analyzed equipment data into the hands of its customers for advanced decision making," says Jani Puroranta, Chief Digital Officer, Metso. "Metso has an inspiring vision to deliver powerful analytics and information solutions in mining and aggregates that will drive business results for customers" said Blake Moret, president and CEO, Rockwell Automation. "This is the type of foresight and focus on application of IoT across operations that we are excited to see developing in all industries." Rockwell Automation Inc. (NYSE: ROK), the world's largest company dedicated to industrial automation and information, makes its customers more productive and the world more sustainable. Headquartered in Milwaukee, Wisconsin, Rockwell Automation employs approximately 22,000 people serving customers in more than 80 countries.